KUALA LUMPUR: Islamic financial and banking participants in Malaysia need to enhance investment in technology to transform the way banking services are operated and products are effectively deployed. Prime Minister Tun Dr Mahathir Mohamad said the industry had reached a level where customers can now conduct financial and non-financial transactions online from anywhere, with the help of the internet and mobile banking. He said digital consumers were more likely to research themselves before deciding on the best products or services the bank offered. "They can interact online or meet managers through integrated communication technologies" he said at the opening of the Kuala Lumpur Islamic Finance Forum (KLIFF 2019) here today. Also present were Chairman of the Organizing Committee of KLIFF 2019 and Amanie Advisors Group Chairman, Datuk Dr Mohd Daud Bakar and Managing Director / chief executive officer of RHB Islamic Bank Bhd and President of Association of Islamic Banking Institutions of Malaysia (AIBIM), Datuk Adissadikin Ali. The Prime Minister also believes that the absorption of sustainability and smart technology in the financial sector can transform the world community to the next level. He said implementing banking with "heart" and smart technology would be a new milestone for any future financial bid success. "I intend to see more closer cooperation between humanity and finance. "This is a fresh constant agenda that will benefit the entire ecosystem," he said. In addition, Dr Mahathir said that the latest technologies utilizing the internet, mobile devices, social media integration, large data analysis and artificial intelligence (AI) make transactions more automated, user-friendly and easy to use, thus creating a great user experience. He said public funding and peer financing (P2P) were the choice of financial technology that benefits individuals or small and medium-sized companies (SMEs) who need funding but are not eligible for funding from traditional Islamic financial institutions. Touching on the nation's achievements in the Islamic finance industry, Dr Mahathir said Malaysia remained a global Islamic financial leader and had diversified industry players. He said Malaysia continued to be the leading player for the sukuk market and represented 51 percent of global sukuk amounting to US $ 396 billion last year. "We also continue to lead the wealth management industry with 36.5 per cent of the global market by the end of 2017," he said. 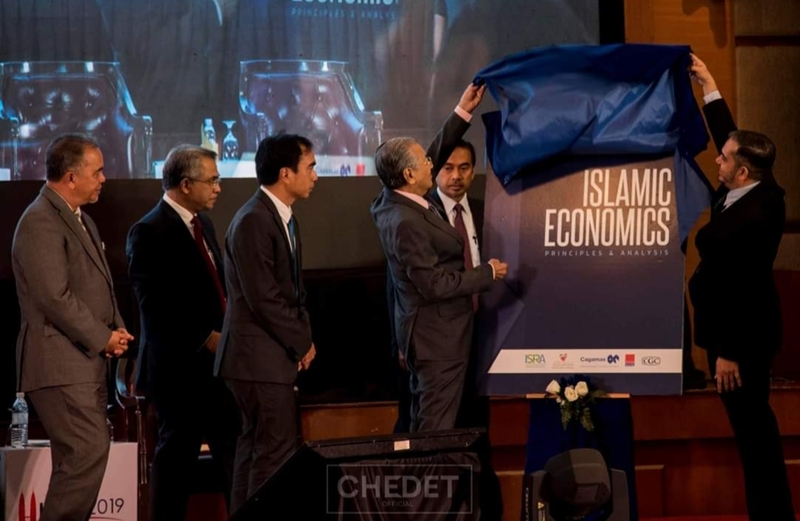 At the opening of the forum, the Prime Minister also launched a book titled "Islamic Economic Principles & Analysis" [produced by the International Shariah Research Academy for Islamic Finance (ISRA)].